Three of the women who risked their lives to save their students were killed in the Newtown, Connecticut, massacre. Victoria Soto's lifelong dream was to become a teacher. Her last moments were spent rushing her students into a closet when gunshots started going off. When the gunman entered her classroom, she shielded her students from incoming bullets. Soto graduated from Eastern Connecticut State University with an elementary education and history degree and was studying for a master's degree in special education at Southern Connecticut State University. Soto loved spending time with her family and her dog, a black Labrador named Roxie. She had been at Sandy Hook for more than five years, having started as an intern before becoming a teacher. 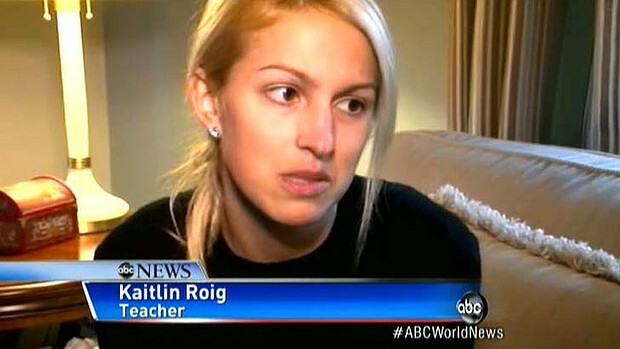 Kaitlin Roig survived the tragic events at Sandy Hook Elementary school. Thanks to her heroism, so did 15 children. When she first heard gunshots, she quickly ushered 15 students into a tiny bathroom and pulled a bookshelf across the door before locking it. Roig told her students to be "absolutely quiet." "I just knew we had to get in there, I just kept telling them it's going to be OK. We are going to be alright," said Roig. Roig, who has been a teacher at Sandy Hook Elementary School for more than five years, refused to even unlock the bathroom door for police. "I didn't believe them," she said to ABC News, holding back tears. "I told them if they were cops, they could get the key. They did and then [they] unlocked the bathroom." Mary Sherlach had worked at Sandy Hook Elementary School since 1994 and was one year away from retirement. She enjoyed her work as a psychologist and helping young kids. When gunshots rang out, her first instinct was to head toward the danger. Like principal Dawn Hochsprung, she died protecting kids by confronting the gunman. She was married for 31 years to her husband, Bill, and had two adult daughters, ages 25 and 28. Her older daughter was a high school choir teacher. She had a website where she kept parents informed on the school's special education system. Former school superintendent John Reed praised her as a friendly, smart, and loving person. “If there ever was a person, by qualifications and personality, to work with children, to be a school psychologist, it was Mary,’’ Reed said. Maryrose Kristopik's actions during the Sandy Hook Elementary shooting can't be described as anything but heroic. Thanks to her, 20 students survived Friday's tragic events. When the first shots rang out, the quick-thinking Kristopik moved her class of 20 into a nearby closet and barricaded the door. "I did take the children into the closet and talked with them to keep them quiet. I told them that I loved them," Kristopik said in an interview with the Daily Mail. "I said there was a bad person in the school. I didn't want to tell them anything past that." Kristopik held the door tightly closed even as the gunman reportedly was yelling "Let me in! Let me in!" One mother of an 8-year-old student in Krisopik's class said her daughter was safe due to her heroic actions. 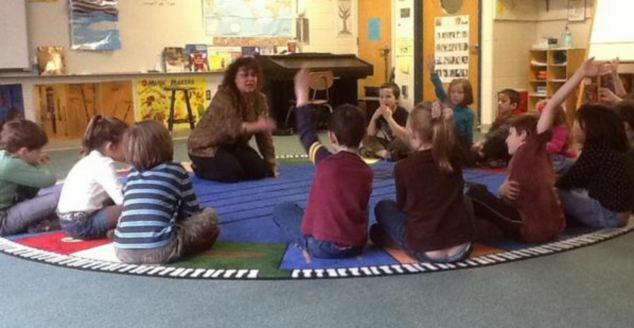 "My daughter's teacher is my hero," the mother said to the Newtown Patch. "She locked all the kids in a closet and that saved their lives." She spent her life as an educator. Before becoming the principal of Sandy Hook Elementary School, she was an assistant principal at a local middle school and spent one year in the same post at Connecticut's Danbury High School. Hochsprung had the school organize days called "Wacky Wednesdays," where students were allowed to wear goofy clothes that deliberately didn't match. Sometimes she let students dress up as their favorite storybook characters and would dress up herself. She believed the school was a community. When she sent letters home to parents, she would address them to the "Sandy Hook family." Her Twitter feed is inspiring and offers insight into an educator who truly cared for her students. One photo she tweeted showed a teacher dressed as a fairy reading a book to her students. Hochsprung worked as hard in her own life as she did as a principal. Besides being a mom to two daughters and three stepdaughters, she was enrolled in a post-graduate program at Esteves School of Education in New York. Jeff Hamel, the first selectman for nearby Bethlehem in Connecticut, said she "touched many of our hearts with her professionalism and love for her students." Anne Marie Murphy was "a light in the darkness” when the shooting first began in Sandy Hook Elementary School. Her job was to provide students with one-on-one care, but her life tragically ended trying save a handful of children. She was found by first responders shielding her students from gunfire. "She died doing what she loved,” said Murphy’s mother, Alice McGowan. Murphy was a special education teacher at the school and was raised Katonah, NY. She was the sixth of seven children and a mother of four. 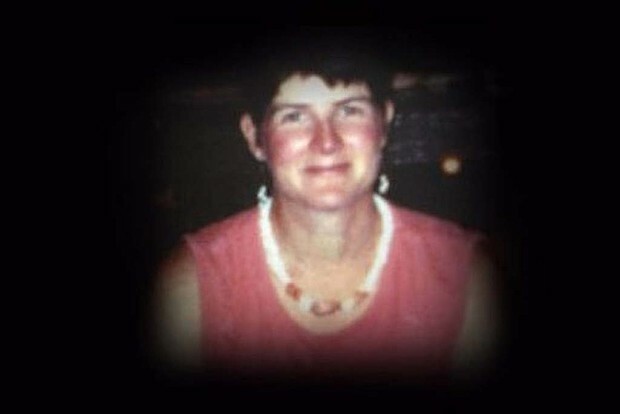 Anna Marie Murphy is remembered on Facebook as a protector of her students, the “little angels."